Flight PC3020, TC-CPB, took off at 17:05 UTC and landed safely back at 17:40 UTC after having been struck by lightning. The aircraft The incident aircraft, TC-CPB, was still on the ground at Izmir, 2 days after the incident. 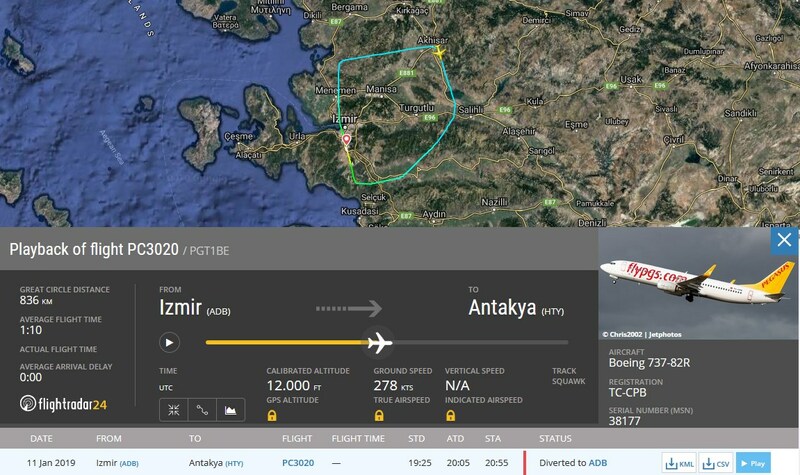 About 18:50 UTC, another Pegasus Airlines Boeing 737-800, flight PC3170 (TC-AHP), also returned to land after a lightning strike. This aircraft was back in service 25 hours later.